Oski HD is iPad version of OSKI. You can play with friend or play against computer with 50 levels. OSKI is a new word game for two players. Game has very simple rules and can be played as paper-and-pencil game. Game is played on hexagonal board with 19 fields. Game is short and has always 16 moves. 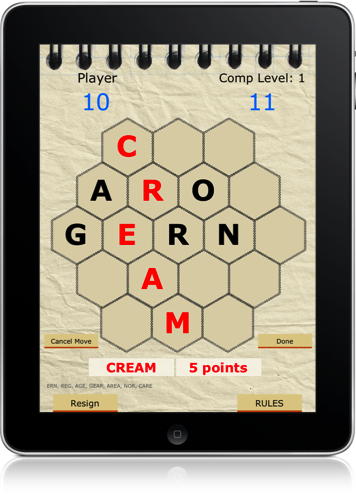 Player on move add one suitable letter to board and scores according to length of new founded word.